Single-ply straight warp belt carcass offers exceptional life, low stretch, and high volume carrying capacity. 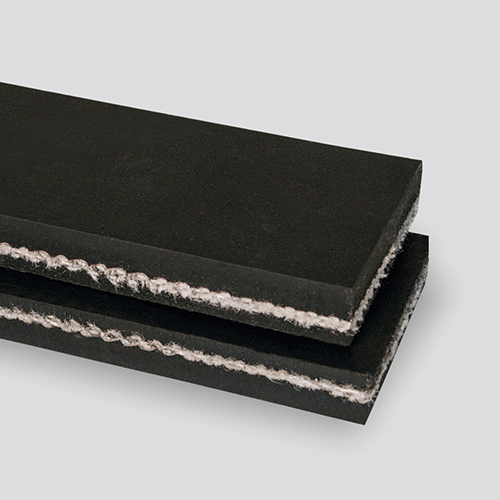 Thick, Grade 1 covers withstand high impact, tearing, and gouging. Thickness / Overall Gauge: 0.5625"